Up to 40 measuring points can be centrally located to one device, such as process tools, gas and chemical storage units, gas cabinets, distribution boxes, process tools, emission measurement and ambient air monitoring. Up to 15 gases can be detected per measuring point, lowering your cost per gas per point monitoring. Self-diagnostic programming detects faults and critical alarms, eliminating many maintenance calls. 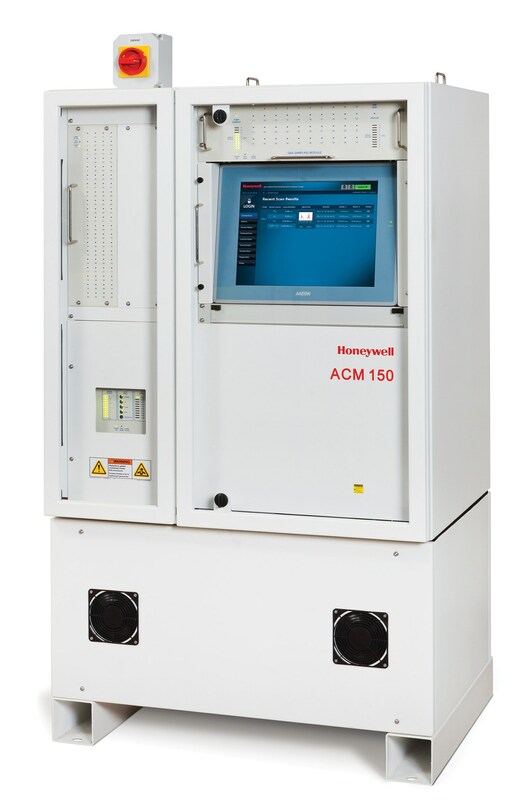 The ACM 150 matches your company’s increased productivity demands with a newly designed FT-IR bench that provides better LDL (Lower Detectable Limit) performance for many gases along with reduced maintenance and service requirements over the life of the instrument. Choose the ACM 150 for enhanced safety, improved performance and lower cost per point monitoring. * Refer to the ACM 150/100 Gas List or ask your regional sales rep for more information. More than two hundred gases detectable. Our engineers may be able to generate a new method for gases not listed. Provides a flexible 8 to 24 points of monitoring using colorimetric Chemcasstte®, the industry’s most reliable gas monitoring technology.